As an economist, ecosystem architect and expert in FinTech, Blockchain, and AI, Mohammed is a serial entrepreneur to many international firms. He also a global speaker, mentor and advisor. Mohammed studied Computer Science, International Business and investments and has more than 2 decades of ICT experience, having worked for IBM, Lexmark, Microsoft and other top ICT multinational firms. 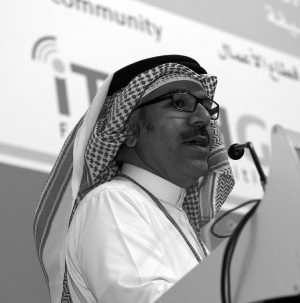 Mohammed introduced the Venture Capitals concept to the Middle East region as well as Entrepreneurship, and managed acquisitions, created venture capitals, and attracted many ICT firms to the MENA region. In 2014 he was awarded the Entrepreneur of the Gulf region and has created the concept, technical study and master plan for MENA ICT hub city, which is the first and only fully integrated smart city in the world.